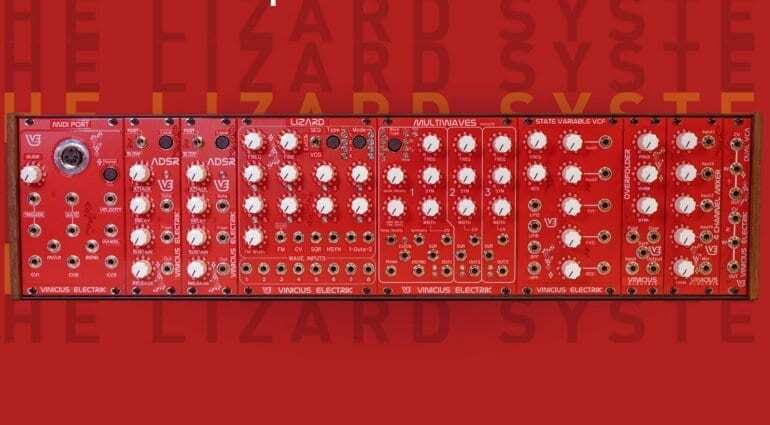 The Lizard System is based around the remarkable Lizard super oscillator and then builds into a complete red and white synthesizer. 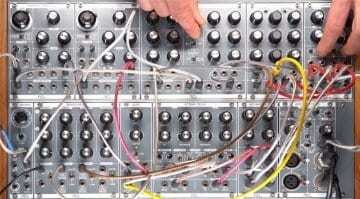 It’s a bit complicated but it claims to be a whole new paradigm in Eurorack. There’s a lot going on in here with the Lizard Hybrid Oscillator and the Multiwaves VCO/LFO which are the heart of the system. The Lizard oscillator is a hybrid VCO composed of two different modules – the Lizard oscillator and an analog wave switcher multiplexor. 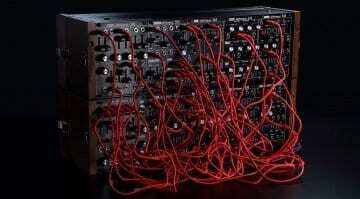 As an oscillator it has 24 modes of operation and as a sequencer and external clock it has 12 modes of operation. 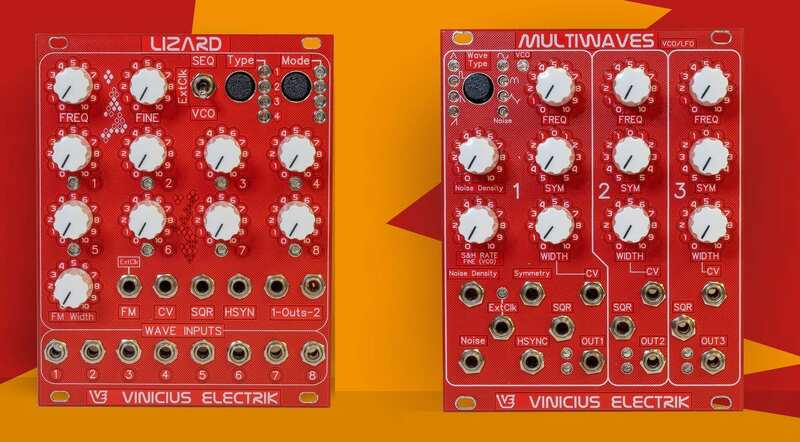 The Multiwaves has two analog and CV controllable LFOs which can go up to audio rate. There are 8 LFO waveforms 7 of which can be used as a VCO. There’s a digital noise generator with density and also feeds a sample & hold. Other modules include a MIDI/CV interface, ADSR envelopes, dual VCA, state variable filter, 4-channel mixer and a wavefolder. The video below from the SynthPlex event is probably the best chance at understanding what’s going on because I can’t seem to grasp it. They look great in the red and white and are reasonably priced for Eurorack modules and are available either separately or as a complete system. 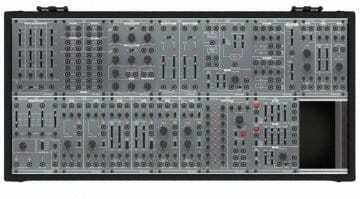 The Lizard Hybrid VCO for instance is only $289 and the whole lot is $1899.